Today’s townland is Templepatrick. 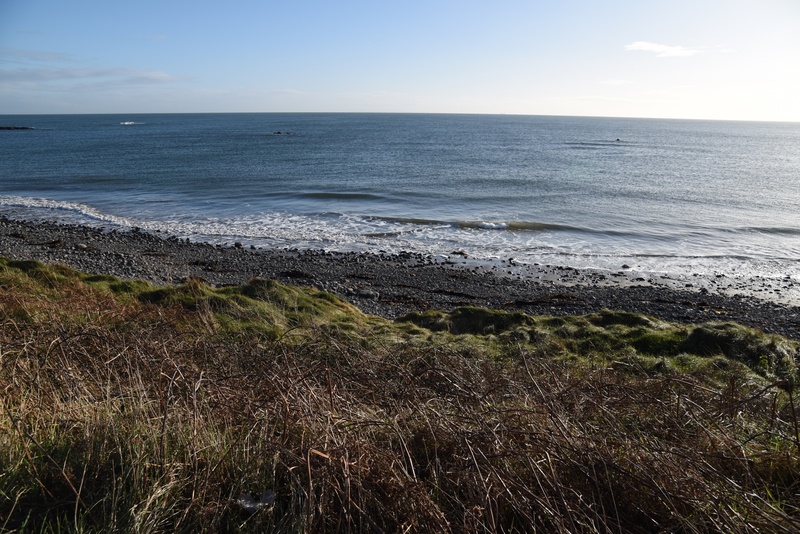 This is my missing jigsaw piece on the coast south of Donaghadee. It is a small townland of only 13 hectares (32 acres). 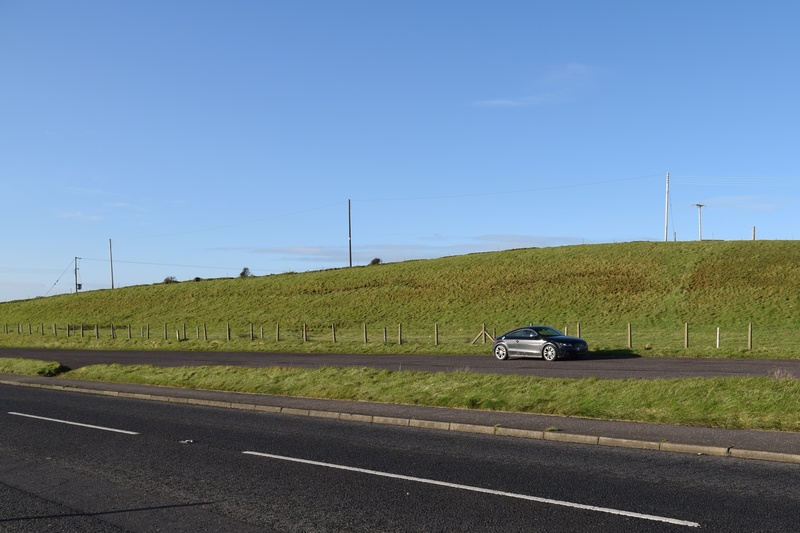 The townland starts south of the Ballyvester Road, does not stretch very far inland, and ends before a graveyard known as Templepatrick but actually located in the townland of Miller Hill. 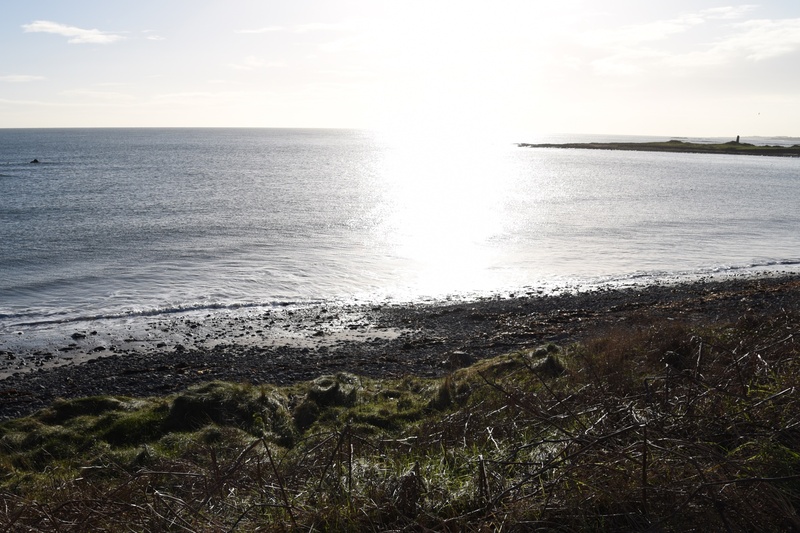 If you look away from the coast, the most visible part of Templepatrick is the carpark. I keep coming back to the carpark when I’m out photographing for this blog. It is an attractive place to stop and check my notes and maps. 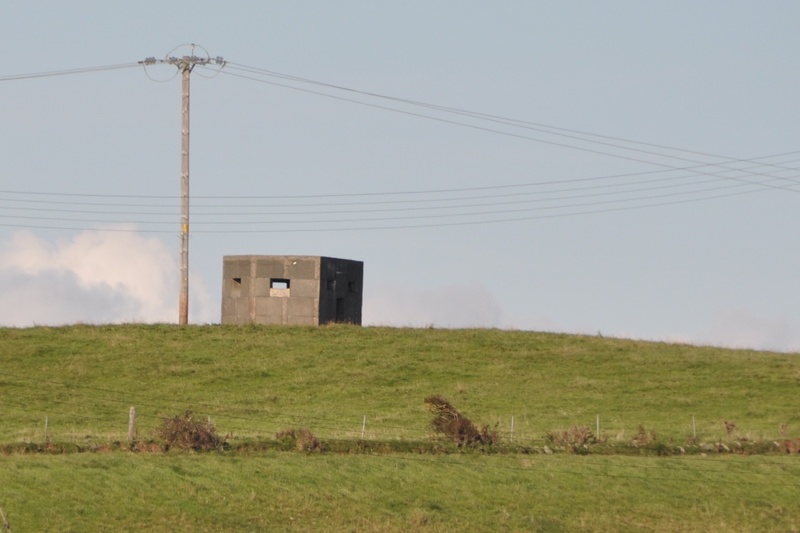 It’s well fortified too, as the concrete structure above the carpark is a pillbox dating from the Second World War. Local tradition states that Saint Patrick landed on the shore here after a journey from Scotland, and built a church. 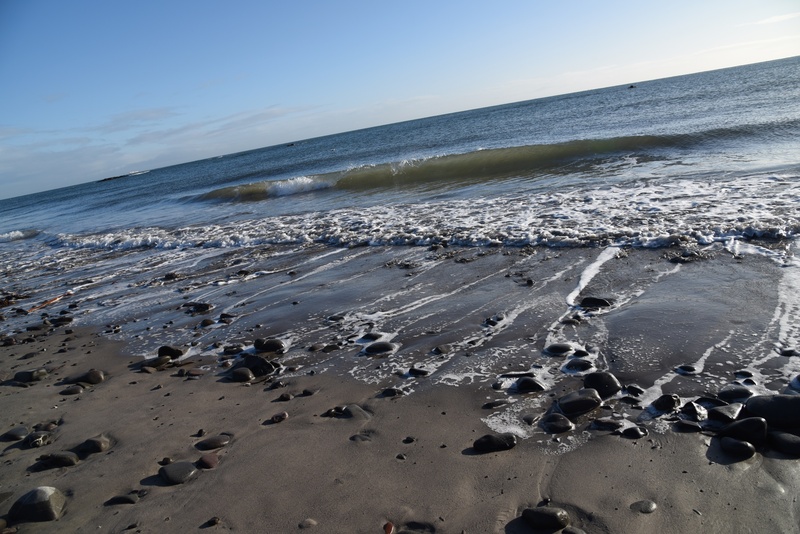 According to the PLACENAMESNI website, there are legends of a well with healing qualities, and the imprint of Saint Patrick’s hand and foot being left on a rock near the shore. 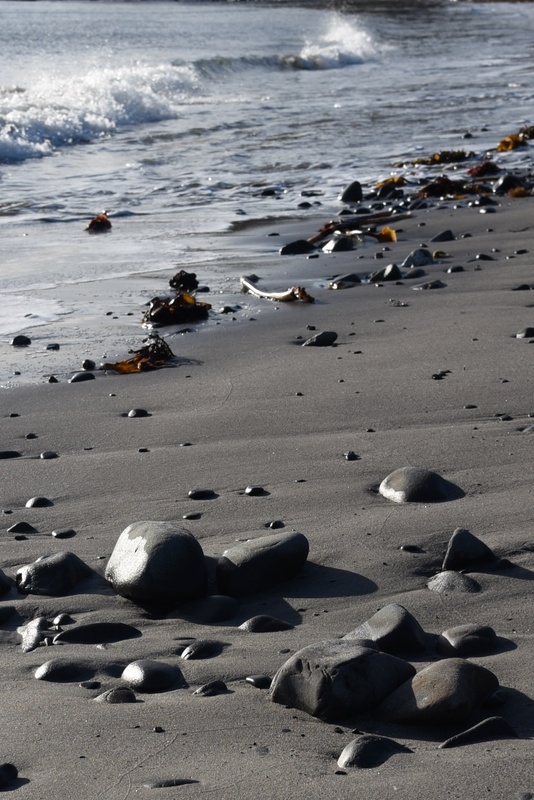 I found no evidence of a well or handprint; but as I stood at the seashore, looking into rockpools and out to sea, I was happy to agree that the place has healing qualities. Which civil parish is Templepatrick in? 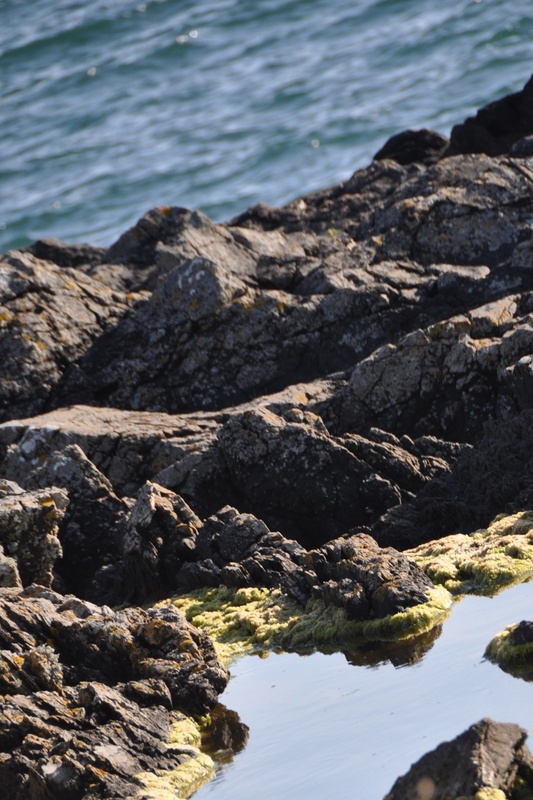 Donaghadee. Which townlands border Templepatrick? To the north, Ballyvester. To the west, Craigboy. To the south, Miller Hill. To the east, the Irish Sea. Click here for a map of Templepatrick on Townlands.IE. Click here for a link to a 19th century map of Templepatrick on the website of Ordnance Survey Ireland.